We invite you to join us in the effort! 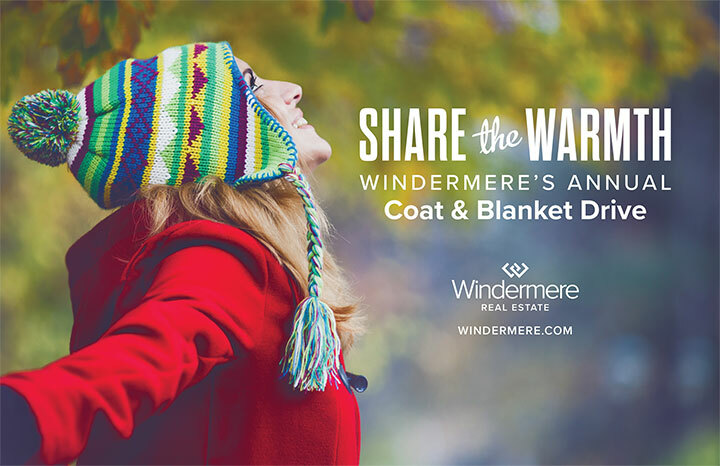 As part of Windermere’s long-standing commitment to help those in need, our offices throughout Oregon and Southwest Washington will be collecting coats and blankets NOVEMBER 5 THROUGH DECEMBER 19, M–F, 9:00 a.m. to 5:00 p.m. unless otherwise noted. 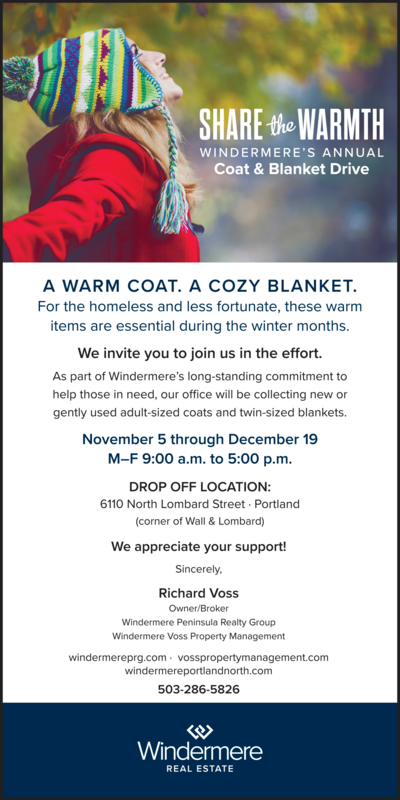 Help us share the warmth this winter by bringing new or gently used adult-sized coats and twin-sized blankets. 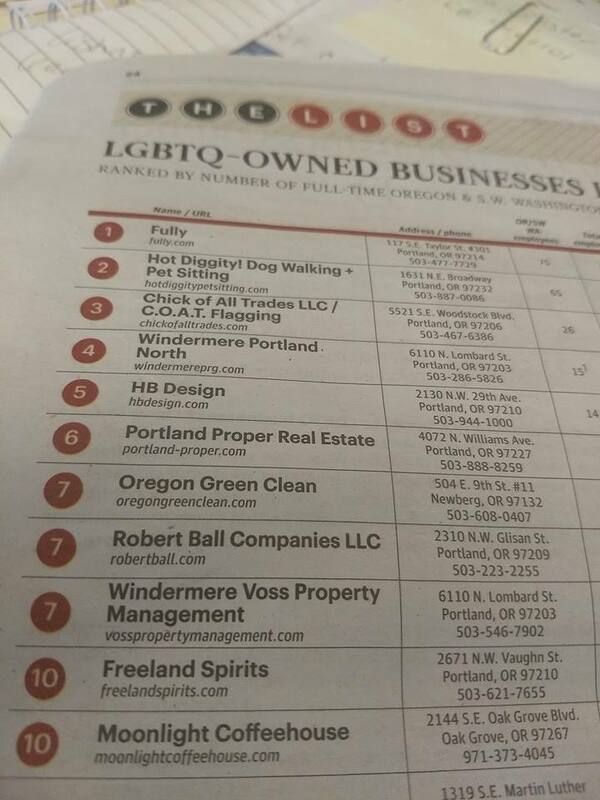 We are excited to be listed in the LGBTQ-OWNED Portland Business Journal issue. 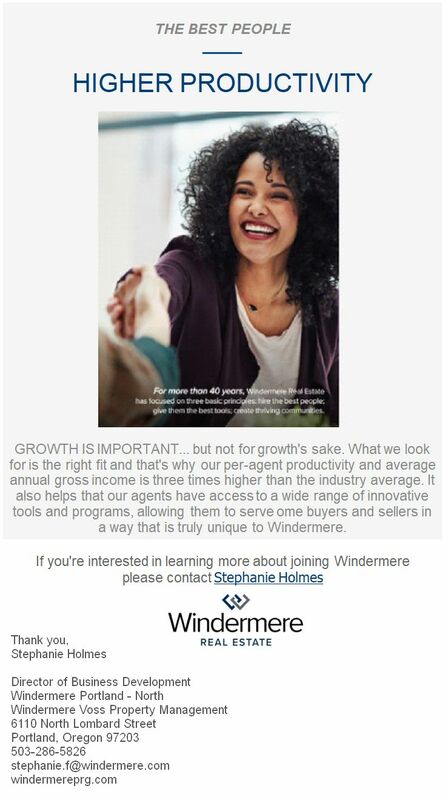 We are #4 & #7 for both our Windermere offices. Woohooo! 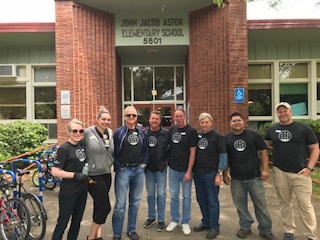 We had another wonderful community service day at Astor Elementary School! Thank you to everyone who helped make this day possible. 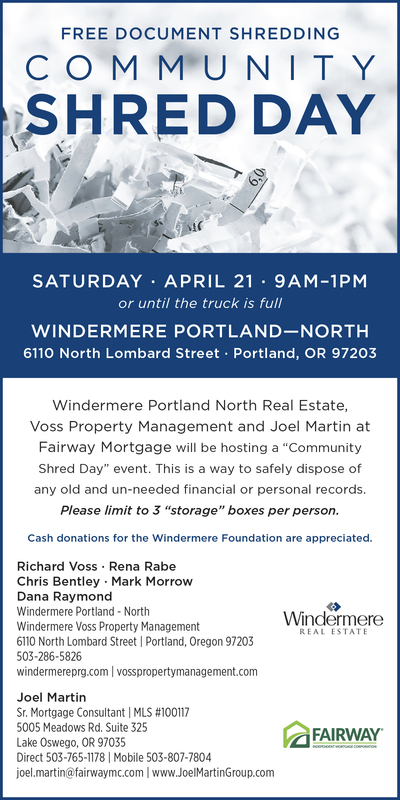 We had a wonderful turn out for our first annual Community Shred Day Event on April 21st. 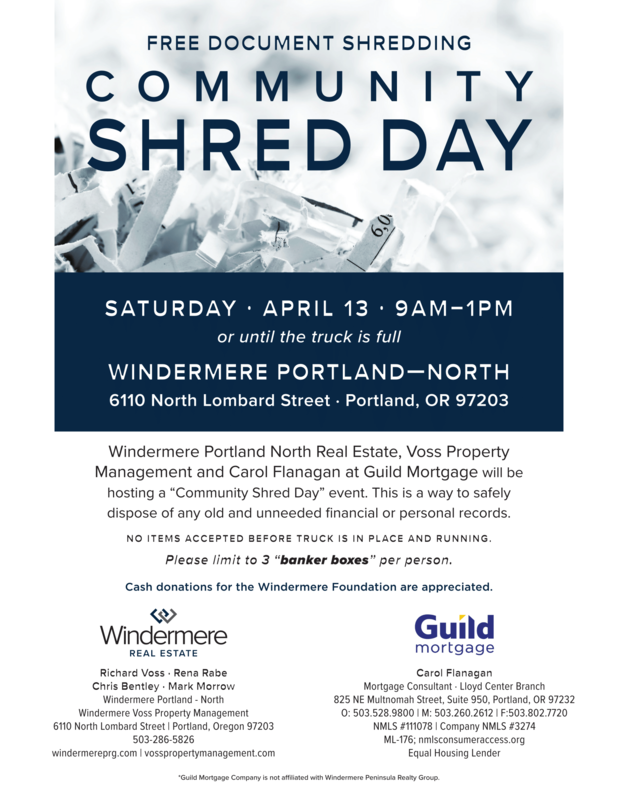 We raised $400 for the Windermere Foundation and filled the truck. Thank you for all the support, we love the North Portland Community and are proud to have been at our location for 20 years.